Frontier Logistics takes a proactive approach to tracking shipments. Track What Matters today announced that Frontier Logistics, based in Houston, Tex., uses GPS technology as an integral part of their new business model, having purchased chassis instead of leasing them. Because of recent changes in how US steamship lines conduct their business operations, chassis for shipping containers are no longer included in the shipping cost. Therefore, Frontier decided to purchase the intermodal chassis instead of leasing them, and they needed an effective way to track the chassis in case one of them got mixed up in another shipment or lost altogether. After some extensive research, they decided on GPS asset trackers from Track What Matters. “We handle both packaging and transport of plastic resin so we purchased chassis to transport our containers to and from the port of Houston (and several other ports),” said Daniel Nelson, business analyst for Frontier Logistics. “They are expensive, and many of them are identical to the ones available for leasing. “We needed something with a long battery life (that is only read several times a day) and a reliable record of standing up to harsh weather conditions since the trackers are attached to the side of the chassis,” said Nelson. More details are available at http://www.trackwhatmatters.com. Track What Matters provides customized GPS tracking solutions for vehicles in the United States, Mexico, Canada, Africa, the Middle East, and portions of Asia. They support companies who need to keep track of assets, containers, trailers and more. Track What Matters has made a conscious effort to ensure its service is very easy to use while providing comprehensive delivery of vehicle tracking information. Track What Matters, LLC is a GPS tracking company that specializes in creating customized GPS tracking solutions specific to the individual needs of their clients. Leveraging cutting-edge GPS tracking hardware with vanguard and incredibly powerful yet user-friendly web-based software, Track What Matters, LLC has helped numerous Fortune 500 clients improve returns on investments by reducing waste and inefficiencies elsewhere. With a core philosophy of customized solutions culminated with unprecedented customer service, Track What Matters, LLC is the GPS tracking company that leading companies turn to for innovative and customized solutions and 24/7 accessibility. For more information, visit http://www.trackwhatmatters.com or call 800-293-0420. 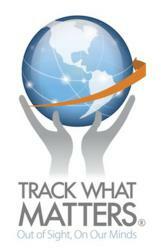 Email twm(at)TrackWhatMatters(dot)com to receive emails that spotlight critical trends in the GPS tracking industry.